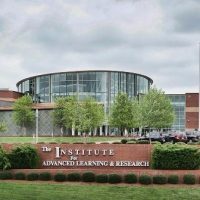 (Danville, Va.) — The Institute for Advanced Learning and Research (IALR) has been awarded $395,105 in funding from the Virginia Tobacco Region Revitalization Commission to establish an ISO-Certified Analytical Testing Facility. The lab will meet ISO 17025 certification requirements, serving and supporting the needs of the agricultural community. Organic vegetable, wine, hops, barley and industrial hemp are just some of the emerging markets requiring testing for safety and marketability. The lab will help new farmers entering these potentially profitable sectors by providing accessible, affordable testing for pesticides, heavy metals, biological contaminants and more. The program aims to diversify the region’s agricultural outputs, promote agribusiness growth and increase agribusiness profitability. One emerging market, industrial hemp, was recently approved through the 2018 Farm Bill signed into legislation at the federal level in December. IALR is positioned to serve as a market catalyst for this industry by offering the highest quality testing services at an affordable rate thanks to the funding from TRRC. Both growers and processors may benefit from the ISO-certified testing. Industrial hemp is used to make a variety of commercial and industrial products, including health and natural food products, supplements, skin products, clothing, bioplastics, insulation, biofuel and more.